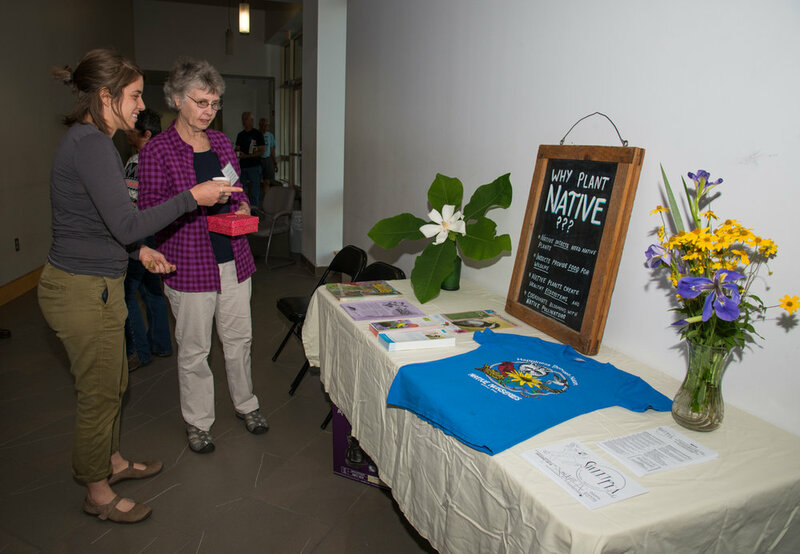 On April 19, Apalachee Audubon had the distinct pleasure of hosting renowned National Wildlife Federation naturalist, David Mizejewski. David came to us all the way from Washington D.C., where he works at the NWF headquarters. That is, when he isn't guesting on shows like Conan and The Today Show, or when he isn't traveling the country speaking to groups like ours. David literally wrote the book on gardening for wildlife, Attracting Birds, Butterflies, and Other Backyard Wildlife. He shared this expertise in an hour-long program at the King Building last week. David was passionate, engaging, and accessible as he spoke to a standing-room-only crowd. Creating backyard habitat is considered by many to be one of the best ways to conserve wildlife in this country moving forward. I mean, let's face it...development isn't going to stop any time soon. Finding harmonious ways to coexist with nature, then, presents opportunities to build populations while not compromising the beauty of your yard. David touched on this as he offered ways to offer food, water, shelter, and places to raise young for wildlife. He suggested that planting native plants, in many ways, serves birds better than putting up bird feeders. I learned that putting up little tubes can attract native pollinators to your yard. Finally, I learned that providing water is one of the single best things you can do for native wildlife. The National Wildlife Federation offers a certification program for wildlife friendly yards, in addition to an online store of resources to help you get your backyard habitat created or enhanced. The University of Florida IFAS program also offers a yard certification program that ensures your yard offers valuable habitat to wildlife. The timing of this talk couldn't be better. The Florida Fish and Wildlife Conservation Commission is just beginning a new initiative called Backyards and Beyond. This program encourages Florida residents to create backyard wildlife habitat and document the life that results via iNaturalist. Those interested in this program can create an iNaturalist account and join the Backyards of Florida or Backyards of Leon County project. In addition, you can create your own yard project to keep track of the wildlife that visit your yard. David probably didn't know about these other programs when he spoke. But he didn't need to. There's never a bad time to garden for wildlife. As he and I spoke prior to the program, it was very obvious that he truly cared about the subject he was to speak about. It was clear that his mission was to preach this gospel far and wide. 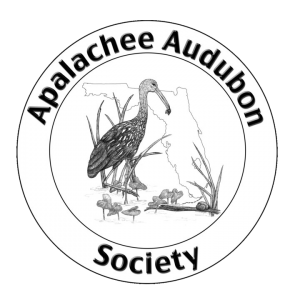 I, for one, am very proud of Apalachee Audubon for bringing that gospel to Tallahassee. This program was made possible by our friends supporting our chapter's fundraising. The Magnolia Chapter of the Florida Native Plant Society, Native Nurseries, and Sweet Pea Cafe all pitched in and helped bring David to Tallahassee. We can't thank them enough. Audubon member Nick Baldwin generously documented this event and it is his pictures that are featured here. Next year, we plan to focus on backyard and community habitat enhancement for birds. We hope to see you at those programs and events!